It’s easy to get caught up in the cycle of handling skin externally, since it’s an ever present and visible part of our body. While creams and toners can be crucial to keeping the skin beautiful and healthy, what we’re putting into our bodies can be just as important. If not more so! Getting a varied and healthy diet in general is important, but if you feel like your skin could use a boost, adding in some of these supplements might be the right choice for you. Read on for the 27 supplements that will transform your skin health, whether you’re addressing aging concerns, acne, or just plain dullness. The Omega fatty acids are a great anti-inflammatory. Omega-3 from fish oil contains DHA and EPA, two awesome fatty acids that the body can’t make on its own. On the upper layers of skin this can help strengthen the outer layer and retain moisture. A bit deeper in the dermis omega-3’s will also help cut down on inflammation. Omega-6 can help with the balancing of hormones which can reduce inflammation and breakouts. Some people don’t get enough zinc in their diets, and when it’s lacking it can affect the hair, skin, and nails. A supplement can fill in the gaps and let the body get to regenerating. Zinc is known to reduce the production of dihydrotestosterone (DHT), which can clog pores. Natural food sources of zinc include nuts, whole grains, and eggs. Vitamin E is a lipid form of an antioxidant that is very important for skin health. It’s helps to keep the blood vessels in the skin healthy, which in turn allows the skin to heal faster. Hyaluronic acid is naturally made by the skin and it also naturally decreases over time. The molecules are what create the plump and dewy young look, which is why it’s frequently injected into the skin by way of dermal fillers. Taking it internally can help do some of the same repair from the inside out. Collagen is one of the building blocks of skin so it makes sense that we should supplement with it if we’re missing out. Collagen can from animal or marine sources, so make sure and look into both before deciding on a purchase. They all work, but some people prefer to prefer to go with marine sources for obvious reasons. The entire body is so closely connected that anything good you do for one part of the body can have an affect on another part. Ensuring that the digestive system is in working order will make sure that toxins and other junk move through quickly, and the less likely they’ll have time to affect your skin. Lycopene is ts naturally found in red vegetables like tomatoes. The carotenoid acts as an antioxidant and it can protect the skin from sun damage. We all know that UV rays can intensify the breakdown of collagen and elastin in the skin. Lycopene can help. Co-Q10 is an antioxidant that helps to remove free radicals from the body. It’s also been said to encourage cell growth, which we need when we’re trying to repair the skin and renew the surface appearance. MSM is a bio-available form of sulphur, which is a very good thing for the production of collagen. It also serves as an anti-inflammatory and has been said to be incredible for the hair and nails and as well as the skin. Expect to start glowing. Glucosamine is naturally found in the cartilage and is an important supplement for supporting joint health and that of the connective tissues. You know what else has connective tissues? Your face! The amino acid can help the skin to heal faster and encourage it’s hydration. Some people even need less moisturizer when they’re taking it. Maca is a plant based root that acts an adaptogen in the body, AKA balances those hormones and reduces adrenal fatigue. It can be found in a powder form as it’s often added to smoothies, but you can also try taking it for a few days before your period starts if you particularly struggle with pimple problems around that time of the month. B6 and B12 are good for the metabolic system and sweeping waste out of the body. The more active the body is at eliminating wastes. The more healthy the body can become. Evening primrose oil is a great source of the omega fatty acids, as well as another fatty acid called GLA. All together those can help cut down on inflammation and increase the strength the skin barrier. In addition to healing a variety of skin woes, evening primrose oil is also often used to cut down PMS symptoms. Pycnogenol is a brand name for a pine bark extract, which is a strong antioxidant with the power to help protect the collagen that you currently have in your body. Similar ingredients can also be found in the skin of peanuts, grape seeds, and witch hazel bark. Ashwagandha is another adaptogen than helps to balance the hormones and regulate the adrenals. It can be taken in capsule form or added to smoothies, similar to how you might use maca. 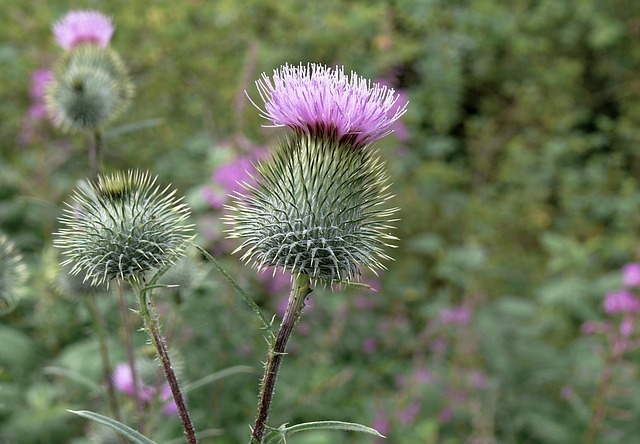 Milk thistle is known a liver detox, but it also contains an anti-inflammatory and antioxidant called silymarin. Put together those can help the liver process fat in a more efficient matter, and when you’re feeding it healthy fats that can greatly improve the look and feel of the skin. Alpha lipoic acid is another liver cleanser. It can help increase the levels of glutathione in the body, which is an enzyme that can help to remove heavy metals from the body. Taking internally it can also help to regenerate other antioxidants like vitamin C. Used externally, the enzyme works as an antioxidant as well and can reduce redness and puffiness. Silica is used in the body to help produce collagen, as well as acts as an anti-inflammatory. The trace element (which is also naturally found in the body), can help create the bonds between protein molecules. That in turn allows the skin to retain moisture and heal more quickly. Chlorella is a green supplement that comes from green algae. It can help reduce stressors in the body, as well as balance the hormones. It’s also known to help pull toxins from the body and keep them moving on out, which leads to of course, healthier looking skin. Flaxseed is a great anti-oxidant as well as a good source of omega-3 fatty acids and lignans. For those who don’t like to get their omega’s from fish sources, flax is a good alternative. Vitamin D is created in the body, but we start creating less of it as we age. One way to supplement with it is through an actual supplement, another is getting some sunshine. (In a healthy manner of course.) Having enough of the vitamin is important for keeping the cells replenished on the outer protective layers of the skin. Turmeric can be added to food as a spice, or it can be taken in supplement form for a super dose of antioxidant and anti-inflammatory power. It’s also a good source of manganese, iron, fiber, potassium, vitamin B6, magnesium, and vitamin C. The health benefits of turmeric go way beyond the skin and include brain health and better blood flow. Green tea is a powerful antioxidant in supplement form as well as it’s ever popular drink version. Green tea contains an antioxidant called EGCG which specifically fights DNA damage from UV rays. Green tea also contains catechins that can reduce inflammation, skin swelling, and skin redness. 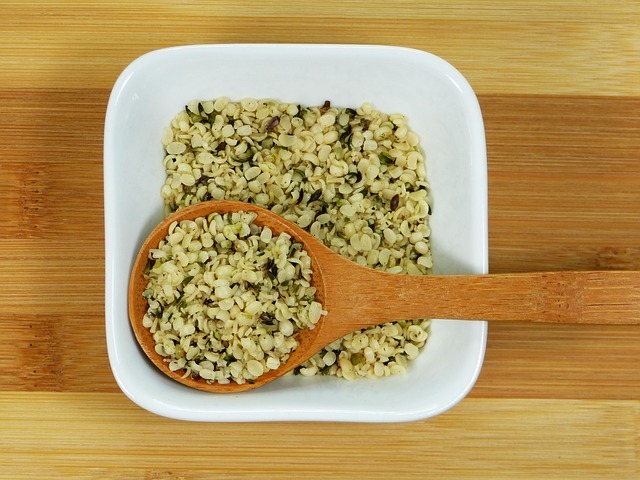 Hemp protein is a great source of essential fatty acids and it actually contains all nine essential amino acids. Hemp seed oil can also be directly applied to the skin. The oil is obtained by pressing hemp seeds, which means it has very very low levels of TCH is any at all. (THC is the psychotropic compound that’s responsible for the “high” feeling. Rubbing some hemp seed oil on your face won’t do it.) Applying a CBD salve externally is also a great option for cutting down on inflammation quickly. Biotin is part of the B vitamin family, although it’s sometimes referred to as vitamin H. It plays a role in converting some nutrients into energy (like fatty acids and glucose), which in turn makes it a powerful helper for the skin, hair, and nails. It’s not surprising that the bone-healthy supplement is also great for the skin. Calcium can help with regeneration of the skin and improve cell health from the inside out. If you have questions about proper doses and pairings of anything you might decide to take, always do lots of research and check with the pros!